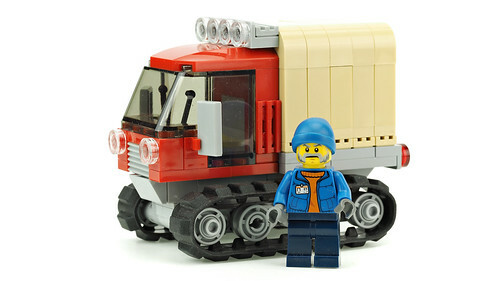 De-marco has been producing a number of wonderful minifig scaled vehicles lately, but this one is by far my favorite. If you're a city builder, you need to check out these wonderfully scaled vehicles, perfect for any city layout. I think what draws me the most to this model is that everything just fits together perfectly here. Everything is scaled very well, especially for a single minifigure. A simple construction, but an effective completed model!